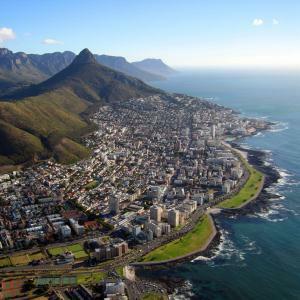 Experience the diversity of Cape Town and the Western Cape, with optional visits to the Winelands and Robben Island. 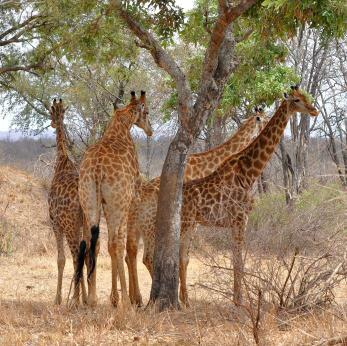 The perfect holiday for those who want to experience Krugar Park Safari Park, widely recognised as the best Safari Park in South Africa, then spend the rest of your holidaytaking in the sights and beaches of Cape Town. Cape Town, set between Table Mountain and the sparkling waters of the Atlantic Ocean, is one of the most beautiful cities in the world. The oldest city in South Africa, Cape Town is the country's legislative capital. Cobblestone streets, colourful street markets and an array of excellent shops and restaurants make the town a delight to explore. Adderly Street Hotel is situated in the historical end of Cape Town's main thoroughfare and is well placed for tourists who wish to experience Cape Town's finest leisure attractions. The hotel occupies a unique combination of three refurbished historical buildings (built in 1903) and an eleven storey tower. The hotel is a short stroll from the Company Gardens, parliament, South African Museum, The Castle of Goodhope and Green Market Square. Within close proximity to Table Mountain, five minute drive from V & A Waterfront and most tourism attractions, the hotel is also conveniently situated close to Cape Town International Convention Centre. The rooftop plunge pool and landscaped sundeck has magnificent views over Lion's Head and scattered rooftops of the City's buildings. After a long and tiring day, enjoy a refreshing cocktail whilst taking in the sights and sounds of the City. The hotel boasts 24 hour reception, concierge and valet services in a secure on-site garage. There is a bag holding after check out facility as well as laundry and baby-sitting services. The hotel is also disabled friendly. We depart Manchester Airport on the scheduled South African Airways flight to Cape Town. Arrive Cape Town and trasfer to Krugar National Park. Morning opportunity to see and photograph non dangerous animals up close - pm Transfer to Adderley Hotel Cape Town. Free day to explore Cape Town or visit one of the glorious beaches. Early morning start for a coach excursion Table Mountain stopping for Wine tasting before returning to hotel for your evening meal. A full day trip to Robben Island. Leave Cape Town around Midday for your British Airways flight to Manchester. Cape Town, set between Table Mountain and the sparkling waters of the Atlantic Ocean, is one of the most beautiful cities in the world. 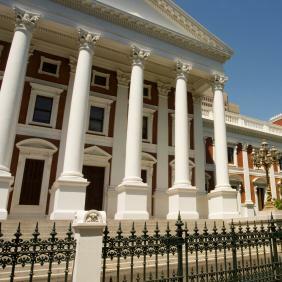 The oldest city in South Africa, Cape Town is the country's legislative capital. Cobblestone streets, colourful street markets and an array of excellent shops and restaurants make the town a delight to explore. The winelands, Atlantic coast, Cape of Good Hope are all within easy reach, as are the restaurants and attractions of Cape Town, one of the worlds most beautiful cities. At the right time of year there is also the chance to go whale-watching, and throughout the year can visit the Penguins at Boulder Bay.